The High-level Independent Panel on Peace Operations (HIPPO) in calling for new approaches concluded that the Protection of Civilians (PoC) was a core obligation of the United Nations, but also noted that expectations and capabilities needed to converge. While significant progress has been made in promoting norms and frameworks for the Protection of Civilians, also the name of a new book on the subject, the editors and contributors to the volume on this sometimes controversial subject have analyzed and laid out suggestions for the next steps. The Global Peace Operations Review’s Alexandra Novosseloff and Jim Della-Giacoma recently spoke with three of them - Haidi Willmot, Ralph Mamiya, and Scott Sheeran – about the past, present, and future of PoC. Alexandra Novosseloff (AN): There have been many books looking at PoC. What is the added value of this book and what is the message you are trying to convey that is not present in other works? Ralph Mamiya (RM): Our book takes a comprehensive approach to PoC. It is a multifaceted topic, and while other works acknowledge this, they then tend to guide the reader into one area or another, such as peacekeeping, international humanitarian law or the responsibility to protect (R2P). Our book aims to look holistically at PoC. Haidi Willmot (HW): It harnesses perspectives from international law and international relations, traversing academia and practice. The book brings together a wide array of eminent academics and respected practitioners, incorporating contributions from legal scholars and ethicists, political commentators, diplomats, UN officials, military commanders, development experts and humanitarian aid workers. The UN Deputy Secretary-General, Jan Eliasson, wrote the foreword, which I think reflects the importance of the issue to the UN. And we have a brilliant collection of authors who have written with insight and passion, including Jean-Marie Guéhenno, who heads the International Crisis Group; Bruno Stagno Ugarte, a former Foreign Minister of Costa-Rica and Permanent Representative to the UN in New York; and Major-General (rtd) Patrick Cammaert, who was the DPKO military advisor as well as the deputy Force commander in MONUC. Scott Sheeran (SS): As well as having expansive breadth, the book goes into real depth on a range of sub-topics, shining a spotlight on key issues and challenges and providing cross-cutting analysis. This allows the reader to understand the development of PoC, how the concept has changed over time, and its significance for the UN. Bringing together in-depth academic analysis with practical experience is the key value add. Other books on PoC have not taken this approach. Jim Della-Giacoma (JDG): What are some examples from the book of these authors bringing a new approach to understanding PoC? HW: The book is divided into three parts: 1) Conceptual and Historical Foundations; 2) Legal Framework; and 3) Policy and Practice. Usually PoC commentary focuses on just policy or practice. As we cover all of those spheres the chapters speak to each other in a number of ways. For example, the use of force to protect civilians is considered from a number of perspectives. The chapter by Hugo Slim looks at the ethics of the use of force; Scott Sheeran and Catherine Kent analyse the conceptual and political interaction between PoC, R2P and humanitarian intervention; my chapter examines the evolution of the UN collective security agreement; Mona Khalil and Siobhan Wills deal with relevant legal issues; while chapters by Stian Kjeksrud, Fiona Blyth and Patrick Cammaert examine practical aspects of using of force to protect civilians. JDG: You mention the use of force, there is the perception that protection of civilians is the responsibility of the military component but there is a much broader responsibility. What is the role of non-military personnel in PoC? RM: A number of chapters address unarmed aspects of protection. In my chapter I trace the historical development of both armed and unarmed concepts of protection; chapters by Andrew Clapham, Michael Keating and Richard Bennett address human rights protection; Jamie Williamson, Sara Pantuliano and Eva Svoboda deal with humanitarian protection; Erin Mooney addresses protection in the context of refugees and IDPs; from a development perspective Lise Grande considers building protection capacities; and the chapter by Aditi Gorur and Nils Carstensen deals with community self-protection. We also have chapters by Jean-Marie Guéhenno, Bruno Stagno Ugarte, Ben Kioko, Lydia Wambugu, Stian Kjeksrud, Jacob Aasland Ravndal, Andreas Øien Stensland, Cedric de Coning, and Walter Lotze that compare organizational approaches to PoC across the UN, African Union, European Union and the North Atlantic Treaty Organisation, considering both armed and unarmed aspects. JDG: The HIPPO report says PoC is a core obligation for UN peace operations and everyone on them is responsible for it. How does the analysis in your book connect with these ideas? RM: The HIPPO report reflects many of the currents of thought on PoC in the book. 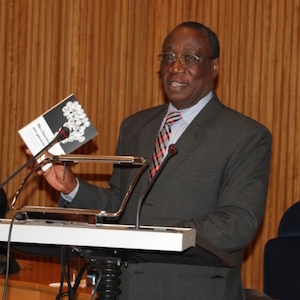 The preparation of the book was a two year process that both preceded and succeeded the HIPPO report. A key conclusion of the HIPPO, that PoC must be linked to a political strategy and solution, is an easy statement to make in theory, but difficult to implement in practice. HW: Certainly, the analysis in our book agrees that PoC is a central tenant of UN peace operations, in fact we go further to assert that it is both a central function and obligation of the UN arising from the UN Charter. The responsibility for PoC is widely spread, not just among mission components, but across the UN community. Our authors examine the protection responsibilities and human rights obligations of host States. They consider the responsibility of UN Member States, particularly in the Security Council and the Fifth Committee, which is responsible for financing missions. They also consider the operational and legal responsibilities of troop contributing countries, and individual troops when deployed to protect civilians. A number of our authors consider UN Secretariat responsibilities for effectively planning and managing missions, and advising Member States. We also address the protection rights and responsibilities accruing to other actors, such as regional organizations and NGOs, including those arising from international human rights, humanitarian and refugee law. PoC is a common responsibility of the UN community. Effective protection requires wide support and complementary action. JDG: How has our understanding of PoC evolved during the last fifteen years? HW: Our book looks expansively at the concept of protection, considering antecedent concepts in the three main monotheistic religions, just war theory, the work of enlightenment thinkers, and the relevance of the concept to early military doctrine, such as the Lieber Code. In the UN context, we consider the development of PoC through the broader lens of the evolution of the UN Charter – the collective security agreement. When the Charter was promulgated in 1945 it focused on the maintenance of international peace and security between states, not within them. Since that time there has been a remarkable evolution to the current focus on the security and well being of human populations within States. If and how that translates into effective action, is another line of inquiry that we explore. This significant pendulum swing has been most pronounced in the last fifteen years – since 1999. SS: To understand what comes next in the evolution of PoC is difficult. While the analysis in the book enables us to better see the practical, political and legal issues for PoC, it is challenging to chart the course for future development to enable the UN to effectively fulfill its protection responsibilities. The conceptual development is relatively mature, and the ‘low hanging fruit’ in implementation are gone. Next steps require tacking bigger problems in UN peacekeeping. A key conclusion of the HIPPO, that PoC must be linked to a political strategy and solution, is an easy statement to make in theory, but difficult to implement in practice. AN: What are your expectations about shaping the debate and future development of PoC, especially towards member states who may be reluctant to shift their positions? HW: The book can operate to shape the debate on two levels. First, the value of gathering such multidisciplinary analysis and expertise in one place should not be underestimated. It is a singular resource for people working on protection issues, who may want to gain an understanding of other aspects and perspectives. For example, the book shines a light on how the use of the veto and selectivity of Security Council actions can adversely affect civilians, while discussing how humanitarian policies might be well served by better incorporating community self-protection strategies. At the same time it considers the utility of different types of force to counter different types of threats to civilians, and examines protection obligations under international human rights law. Making some of these points more accessible, should positively influence the debate. Second, in the conclusion we offer three practical and concrete suggestions to move things forward: 1) reconcile existing concepts to develop a common definition; 2) identify a cohesive legal framework; and, 3) articulate a set of principles to bring coherence to the disparate streams of effort that comprise protection. SS: While a book may not change the politics around PoC, we hope it might play an important role in raising the profile of the debate and addressing implementation challenges. It offers ideas on what is needed, such as enablers, and what works, such as joint protection teams. UN missions also need the political and financial support of Member States to better protect civilians. RM: Effectively protecting civilians is not about tightening one screw or fixing one part of the UN, the entirety of the organization needs to be fixed. However, the book offers smaller ways to move forward, such as agreeing a common definition of PoC. This is a political issue but also an area where there are serious misunderstandings. Misunderstandings that can negatively impact effective implementation in the field. AN: It is also about managing or reducing expectations. We know that resources are limited and there is only so much you can do with what is provided by member states to protect civilians. What is your perspective on this challenge? RM: Expectation management around PoC is challenging. 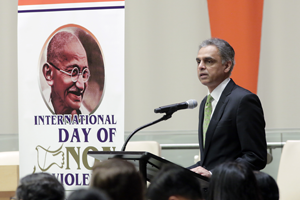 In the UN we try and manage expectation to all audiences – media, Member States and local populations. Sadly, the public hears most about PoC when peacekeepers have failed to protect civilians. Improving our mandates and communications strategies so that people better understand what peacekeepers are supposed to be doing is key. SS: There is a genuine gap between the expectations or aspirations of the public, including local populations, and that of the Council. The UN must be realistic and support what is possible. The HIPPO report is very strong on managing down the expectations and overreach by the Council, but there are different ways of going about that. Several of the chapters provide possibilities for moving forward, such as looking at how forces can be reconfigured to operate differently and more effectively. The book also considers what could be achieved if the deeper political dimensions were tackled. HW: While some of the information may result in managing expectations, that is not the purpose of the book. Expectation management is about dealing with the world as it is now, with the resources and political will as they presently exist. The book looks much more broadly. Historically, we look at the world as it has been; we look at it as it is now, with its myriad of constraints; but we also look at the possibilities for the future, the way it could be. It is much broader than just the here and now. JDG: You mentioned there is an ambiguity in the legal framework guiding protection of civilians. What kind of process would fill this gap? SS: We are not suggesting highly prescriptive and abstract demands of the law in this field, but there is a genuine gap. For example, there is a Secretary-General’s bulletin on International Humanitarian Law (IHL) which talks about how peacekeepers should understand their IHL obligations, but there is nothing similar in terms of human rights. Human rights is where you draw a lot of legal clout for PoC. Soldiers should not be able to observe violence against civilians without taking action. This is raised in Brahimi and HIPPO but in HIPPO there is a stronger legal basis whereby it stipulates that regardless of your mandate, you have the authority act. There is more clarity needed for Rules of Engagement as there is a disconnect and clear differences of opinion. HW: There is no single body of law that regulates PoC. It lies at the intersection of jus ad bellum, jus in bello / international humanitarian law, international human rights law, international refugee law, and international criminal law. As a result, there are many overlaps and gaps. For example, it is unclear how broad or deep the responsibilities of certain actors are; what are the obligations for the force commander to actively and preemptively protect civilians? PoC may be well served by the development of something akin to the Guiding Principles on Internal Displacement, which reviewed several bodies of law and brought together the relevant principles to form a set of international standards. 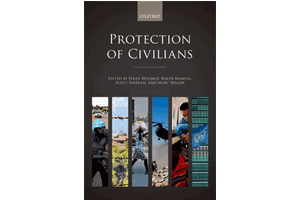 The introduction to Protection of Civilians can be downloaded here. Haidi Willmot is currently on leave from the United Nations Department of Peacekeeping Operations. Scott Sheeran is a Counsellor at the New Zealand Permanent Mission to the United Nations and on leave from the School of Law and Human Rights Centre, University of Essex.